The seriousness and intensity with which von Eckardstein imbues Schubert's Sonata in A Minor; the wealth of tone colours this winner of Brussels's Queen Elisabeth Music Competition draws from the C. Bechstein concert grand piano for Debussy's Images; the virtuosity of his interpretation of Medtner's sonata: all this really breathtaking. Ingo Hoddick states in an article published in the Rheinische Post: "Von Eckardstein is captivating through his music with clear tonal contours and his serene and passionate approach of playing the piano. 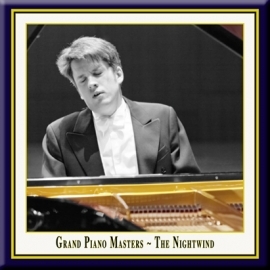 He does it all with virtually no gimmickry or flamboyance - which cannot be said of many contemporary artists..." The CD also includes three poetic pieces by Prokofiev, Scriabin and Tchaikovsky. These encores offered to the euphoric audience demonstrate von Eckardstein's sensitivity in conjuring a magical atmosphere from a C. Bechstein concert grand piano.